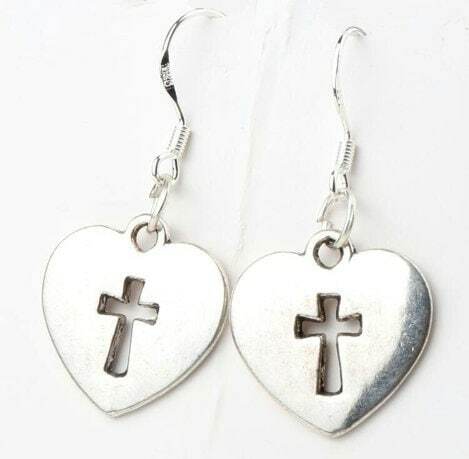 Silver Cast Earrings with a Hollow Cross at the center. Small Design with a very Vintage look. Come with complementary ear backs. 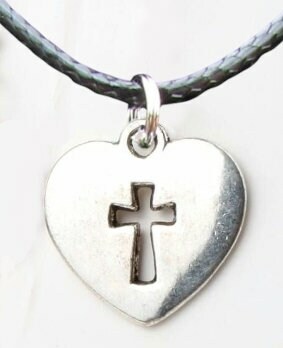 Pendant comes with an 18" Black Cord necklace (adjustable to 20") with positive locking Lobster Clasp.